Inspired by the cooking style of South American vineyard estates, chef Victor Albisu created a mouth-watering meat-heavy menu at his upscale establishment tucked away in Chinatown. The rolled wagyu skirt steak—stuffed with mustard, oregano, burt onions and manchego cheese—is without a doubt the star of the show. 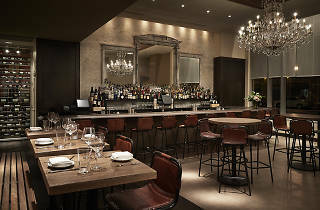 The restaurant’s Latin menu is complemented by the décor, which is rustic, warm and downright gorgeous. 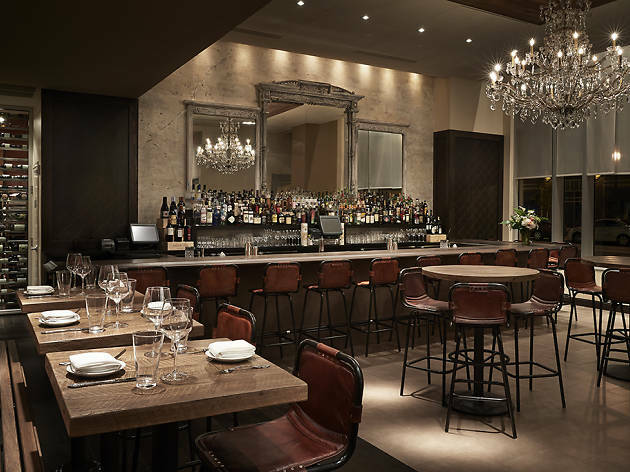 South American accents such as a saddle and antique cedar doors are paired with wood tables, concrete walls, leather sling-back barstools and dazzling crystal chandeliers.